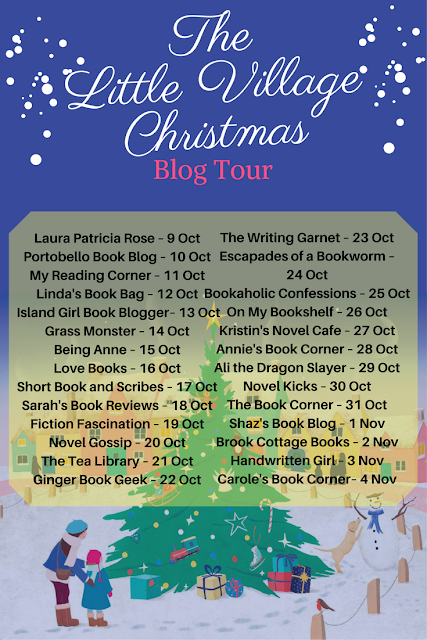 I am thrilled to be kicking off The Little Village Christmas blog tour today bu Sue Moorcroft. Christmas really is getting closer now and this is just one of the reads I will be getting all cosy with very soon. 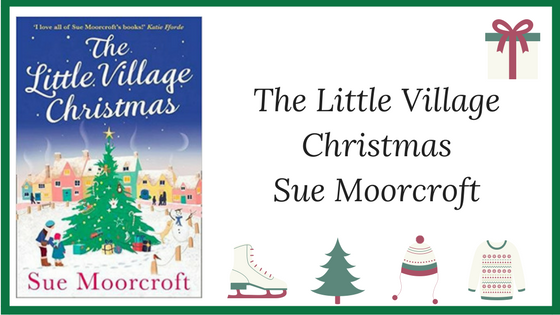 Starting off the tour, Sue has stopped by my blog to share her favourite things in The Little Village Christmas. I had such a great time writing The Little Village Christmas that I thought I’d give you my favourite aspects. Because he has an owl and keeps to himself so much the locals have christened Benedict Hardaker ‘the Wizard in the woods’. He’s not a wizard but I really loved the idea of him living on the Carlysle estate in a cottage that’s isolated but beautiful. There’s an owl and a pony Barney is a rescue owl that lives with Ben. Ben’s come to live in the woods on the Carlysle estate and having a pretty rough time so when his Uncle Gabe finds Barney injured he asks Ben to look after him to give him something else to focus on than the problems he left behind him. Gabe already has a lot of animals to look after, including idiosyncratic pony, Snobby. To be truthful, there are rescue kittens in the book, too. And chickens. And a cat. I got a bit carried away with the animal cast. NB Barney is not a pet; he’s a rescue. I make this distinction because owls do not make good, or even legal, pets. I can’t tell you how long I spent chasing down old photos of Victorian pub interiors. All that polished wood, etched glass and glittery brass really inspired me, even once someone ran away with all the money for the refurbishment of The Angel and Alexia has to make the refurb owe more to The Scavenger than Grand Designs. I was also invited to Icarus Falconry near Northampton twice and the second time I was even able to fly a barn owl. Being an author is awesome. Along with an exciting up-and-down love story between a valiant heroine and a brooding hero I found ways of bringing in food-for-thought subjects such as divorce, family dynamics, illness, crime and its victims, and being let down by a friend. I’m excited to see The Little Village Christmas hit the shelves and e-readers! I’d love to know what my lovely readers think via reviews or on social media. Thank you, Laura, for inviting me onto your wonderful blog to help me kick off the blog tour for The Little Village Christmas.